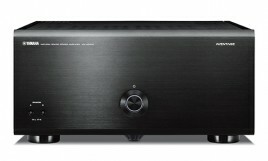 - AVENTAGE Concept 11.2-channel pre-amplifier. 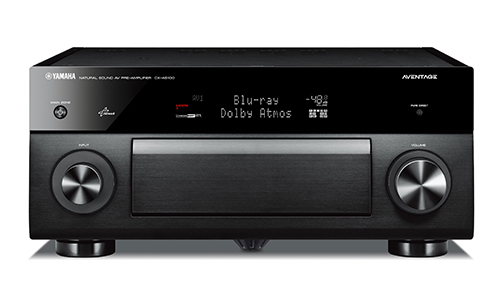 - The Next-generation CINEMA DSP HD3, compatible with all the latest formats. - Highly reliable balanced connections and high quality XLR terminals for long subwoofer cables. - ESS 9016 DAC for all channels including front and rear presence channels. - High density presence and richly detailed sound ensured by high sound quality parts and design. - Specially designed high rigidity chassis eliminates the effects of vibration for greater sound purity. - YPAO-R.S.C Sound optimisation with high precision 64-bit EQ calculation. - MusicCast for audio enjoyment in every room. - Wi-Fi Built-in and Wireless Direct compatible for easy network. - Bluetooth for wireless music streaming and Compressed Music Enhancer for Bluetooth. 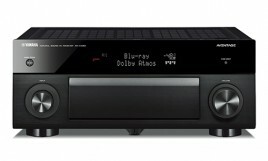 - AirPlay, Napster®*, Spotify®*, Pandora®*, JUKE* music streaming service and AV Controller app. - *Music service availability varies by region..
- DSD 2.8MHz/5.6MHz, FLAC/WAV/AIFF 192kHz/24bit, Apple Lossless 96kHz / 24-bit playback. 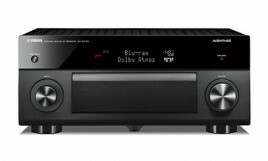 - Gapless playback compatibility allows play without interruption. - AV Controller app for operating various functions from a smartphone or tablet. - 4K60p 4:4:4 Pass through, HDMI (8 in/2 out) with HDCP2.2 (7 in/2 out), 3D and Audio Return Channel. - Yamaha video processing optimises video content. - High-resolution Music Enhancer further heightens musicality from the original content. - Advanced HDMI Zone Switching allows unprecedented AV switching to multiple zones. - Versatile Zone control up to four Zones including party mode.